Estate Planning – Rachel Lee Dreher, Esq. The Law Firm of Rachel Lee Dreher will prepare the right estate plan for your needs, taking into account your objectives for wealth preservation, tax minimization, incapacity planning, and family business succession. 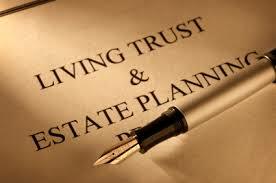 The central objective of estate planning is to plan for the proverbial certainties of human existence - death and taxes. Although we can't do anything about the inevitability of either, we can do quite a lot to make sure that you and your family are well prepared for both. Most families will need at least the basic estate planning instruments: a will or trust, powers of attorney designating persons you can trust to make important financial and medical decisions on your behalf in the event of your incapacity, and advance medical directives to physicians (living wills and health care proxy) so that end-of-life treatment decisions will reflect your specific intentions. For families with substantial assets, that could face state or federal estate taxes or inheritance taxes at the time of probate, our experienced wills and trusts attorney will work closely with you in order to determine your potential tax exposure, your specific wealth preservation and transfer objectives, and the suitability of any one of many reliable estate planning and tax minimization strategies that can reduce or eliminate your estate tax liability. Tax planning trusts of various kinds, each of which is designed to maximize the value of personal estate tax exemptions at the time of death. Our trusts and estates attorney can also prepare special needs trusts to ensure the financial well-being of any children who might not be able to manage their own affairs due to disability. For additional information and a free consultation about our ability to help you address end-of-life and asset protection concerns, please contact our firm.